​Many of the natural resources found on land are also found in the ocean. It is often less expensive to remove resources from the land than from the ocean, so many of the ocean’s resources are not currently mined. However, as resources on land are used up and new technology makes ocean exploration and mining easier, ocean mining may increase. 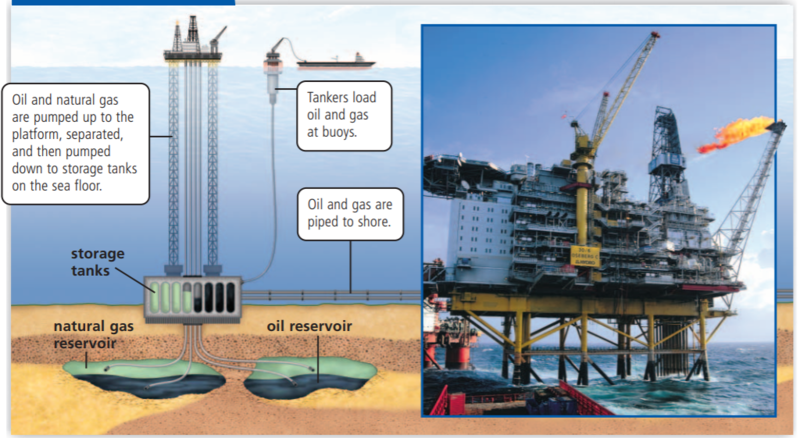 ​Oil and gas form from the remains of living organisms. 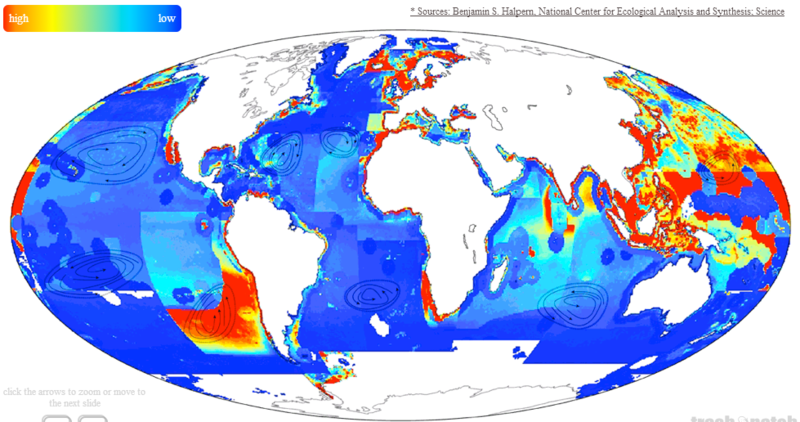 In the ocean, organisms are concentrated in the waters over the continental shelf. Oil deposits, therefore, are found near shore. Oil and gas are pumped from the continental shelf of every continent but Antarctica. About 30 percent of the world’s oil is pumped from deposits under the ocean floor. Huge anchored platforms serve as artificial islands that house workers and the necessary equipment for drilling offshore oil wells. The platforms are built to withstand ocean currents, tides, and weather conditions such as storms. Underwater pipelines carry the oil to shore. When rivers empty into the sea, sediments carried by the rivers drop to the bottom. These sediments may contain phosphorite, iron, copper, lead, gold, tin, diamonds, and other minerals. 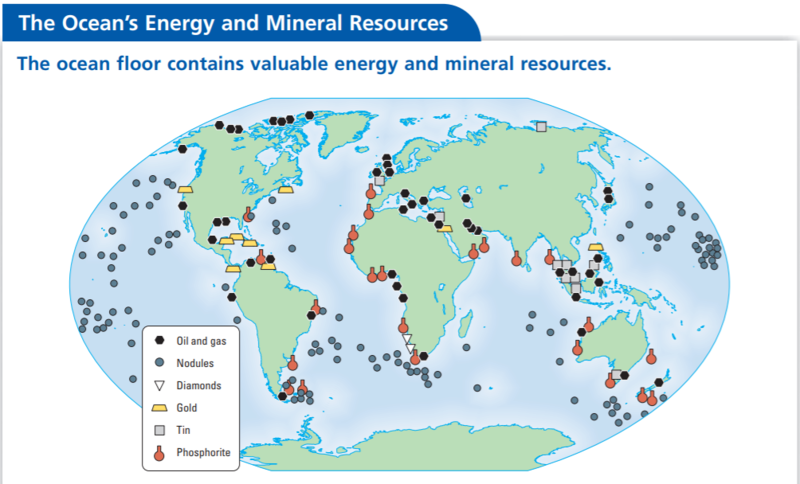 Because these minerals wash into the ocean from land, most of them are found in areas near shore. It is currently too expensive to mine many of these minerals. Some minerals are found away from shore. Nodules (NAHJ-oolz) are lumps of minerals that are scattered across the deep-ocean floor. The nodules are small at first, but they can build up over millions of years to a size of as much as a meter across. Nodules contain valuable manganese, iron, and cobalt, which are used to make metals such as steel. Nodules are not mined because it would be very expensive to remove them from the ocean floor. In the future, however, nodules may be removed— perhaps with giant vacuums. ​A mineral you eat is also removed from the ocean. About one-third of the world’s table salt comes from the ocean. Ocean water is left to evaporate in flat, shallow areas. As the water evaporates, salts are left behind. Sand and gravel might not be the first things you think of when you think of important resources. However, they are building materials used in concrete and cement. Sand and gravel are currently scraped off the sea floor in many locations near shore. 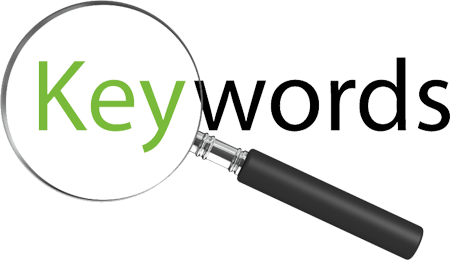 Name some resources that can be extracted from our deep oceans. 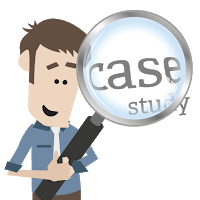 How are these resources extracted? 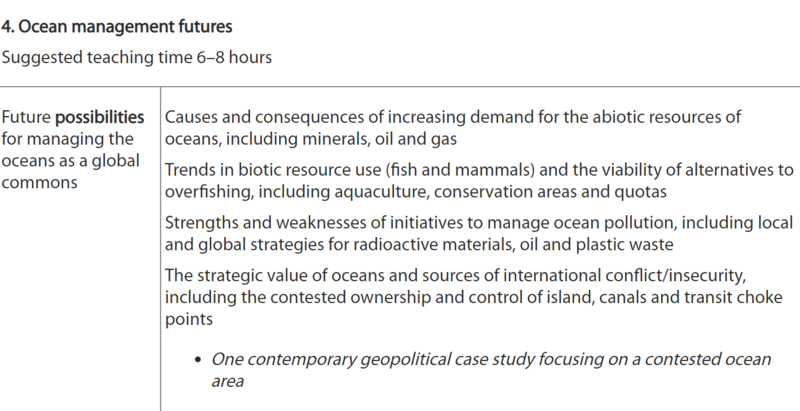 What are the consequences of this increased demand for the abiotic resources of oceans? The ocean’s many algae and animals are important food sources for people in many areas of the world, including the United States. In fact, the United States is the third largest consumer of seafood in the world. The ocean also supports living resources you do not eat for dinner. For example Phytoplankton are a very important resource because they produce much of the oxygen in Earth’s air. Chemicals from other ocean organisms are used in medicines—including some that treat cancer. As research continues, scientists may find even more useful chemicals in ocean organisms. Across the United States, supermarkets sell ocean fish and shellfish. Most people, whether they realize it or not, eat seaweeds, too. These ocean algae are commonly used to thicken cheese, ice cream, and pudding. Seaweeds are also ingredients in nonfood products such as shaving cream and pesticides. When you think of fishing, you might think of a person with a fishing pole catching one fish at a time. This method of fishing, however, is far too slow and inefficient for the commercial fishing industry to use. Instead, the fishing industry uses huge nets bigger than football fields or lines of fishing hooks kilometers long to catch large amounts of fish at a time. 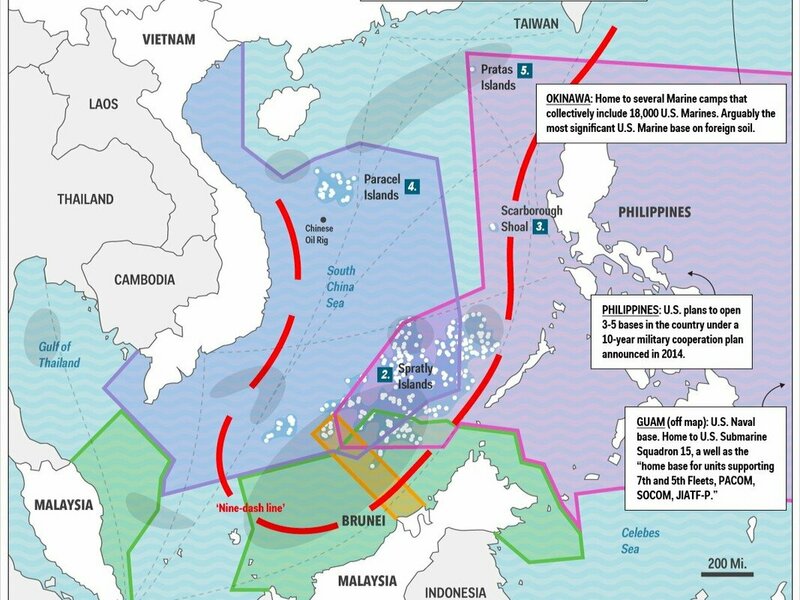 As you read this sentence, tens of thousands of nets and fishing lines trail in the ocean. The fishing industry uses sonar, satellites, airplanes, and other technology to find areas in the ocean that contain large numbers of fish. Aquaculture is the farming of both freshwater and ocean organisms. Saltwater farmers may raise fish, oysters, mussels, shrimp, seaweeds, or other organisms. Most aquaculture harms the environment. Huge amounts of fish waste are often released into the ocean waters surrounding fish farms, causing damage to plants and animals. Nutrients and chemicals added to water at fish farms may also end up in the ocean. Sometimes plants and animals are cleared from an area to make space for aquaculture. About half of the world’s mangrove forests have been cleared for shrimp farms and similar uses. Over the years, people have noticed that there are fewer and fewer fish than there once were. The main cause of the decrease in fish populations is or catching fish at a faster rate than they can reproduce. Cod is one popular food fish that was nearly killed off by overfishing. Cod were once common in the North Atlantic, but now the cod population is very small. 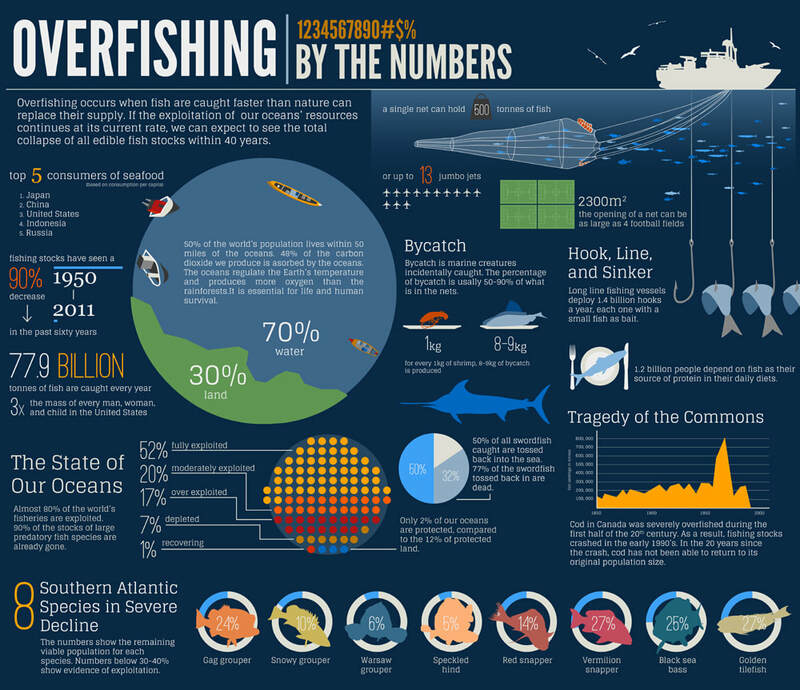 All of the world’s fisheries, or main fishing areas of the ocean, are either overfished or very close to being overfished. 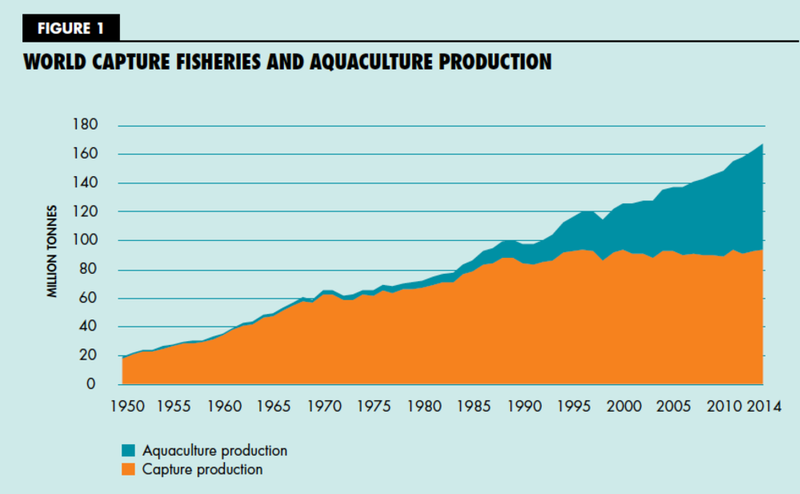 Overfishing is a major threat to ocean environments. ​Fishing nets catch nearly everything in their path. A net that is being used to catch shrimp, for example, may also catch fish, turtles, sharks, dolphins, and other sea animals. The extra catch—everything besides the shrimp—gets tossed back into the ocean either dead or dying. or by-kill, is the portion of animals that are caught in a net and then thrown away. Sometimes the by-catch is greater than the portion of fish or other animals the net is meant to catch. To help reduce by-catch, fisheries started using nets designed to prevent animals such as turtles and dolphins from getting caught. Although these efforts have lessened the number of turtles and dolphins caught in fishing nets, fisheries worldwide still throw away about 30 percent of the fish they catch. What is the cause of the pollution? How extensive is it? Name areas and give figures to outline it's size. Explain how it is damaging to the environment. Give examples. What local and international methods are in place to combat this pollution? Are they effective? An oil spill occurs when liquid petroleum hydrocarbon is released into the environment, either in water or on land. Usually when people talk about oil spills they are referring to those that occur in coastal waters or oceans, because of leaks from tankers, offshore drilling rigs or platforms, or wells. Oil spills are not only extremely damaging to the environment but they have a devastating effect on marine life and birds and animals that come into contact with the substance. The damage from an oil spill can be catastrophic to the environment, ecosystems, marine life, bird life, and economies. Oil destroys the insulating ability of fur-bearing mammals, such as sea otters, and the water repellency of a bird's feathers, thus exposing these creatures to the harsh elements. Without the ability to repel water and insulate from the cold water, birds and mammals will die from hypothermia. Not all oil spills are by accident. Sometimes oil or oil products are deliberately dumped onto the ground which reaches groundwater sources and pollutes them. Oil spills that occur in the water leave a shiny substance which makes it impossible for marine animals to live. In 1978 an oil spill near Portsall, France dumped 68 million gallons of oil into the water. In 1979 two tankers near Trinidad and Tobago collided and spilled 83 million gallons into the ocean. As one of the tankers was being towed it lost another 41 gallons of oil into the ocean. 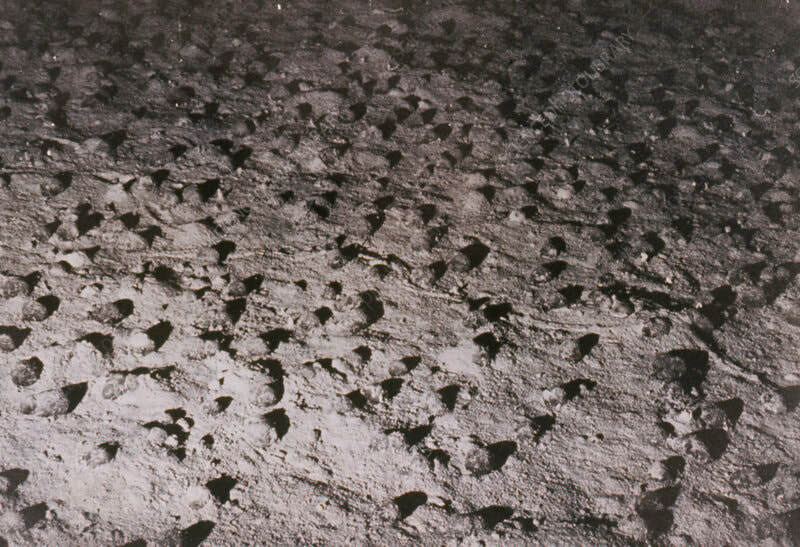 In 1983 a production well in Libya exploded and dumped 42 million gallons into the surrounding environment. In 1988 a storm caused the Odyssey oil tanker to lose more than 43 million gallons of oil into the ocean. In 1991 Iraqi forces dumped 300 million gallons of oil into the Persian Gulf. This was part of their offensive tactics in the Gulf War. In 2010 an oil rig exploded in the Gulf of Mexico, dumping 210 million gallons of oil over 87 days into the Gulf of Mexico. This is equivalent to 62,000 barrels of oil a day for 87 days straight. The 2010 oil spill in the Gulf of Mexico resulted in 11 deaths from the initial explosion, and 17 injured. The devastating effect of the spill is continuing to affect people, animal, and marine health. Approximately 25% of Louisiana's coastline is polluted by oil from the 2010 spill. More than 8,000 animals had been killed by the 2010 oil spill within the first 6 months. President Obama created a $20 million dollar fund to provide help should another oil spill occur. People that worked on the 2010 oil spill cleanup have reported eye, nose, and throat problems, blood in the urine, seizures, vomiting, nausea, respiratory issues, skin problems, liver and kidney problems, nervous system damage, miscarriages, and other health problems. While cleaning up the 2010 oil spill in the Gulf of Mexico, crews used approximately 1.4 million gallons of chemical dispersants that were supposed to break down the oil. One of the methods to clean up an oil spill involves placing a floating barrier around the oil and lighting it on fire. This causes even more pollution. 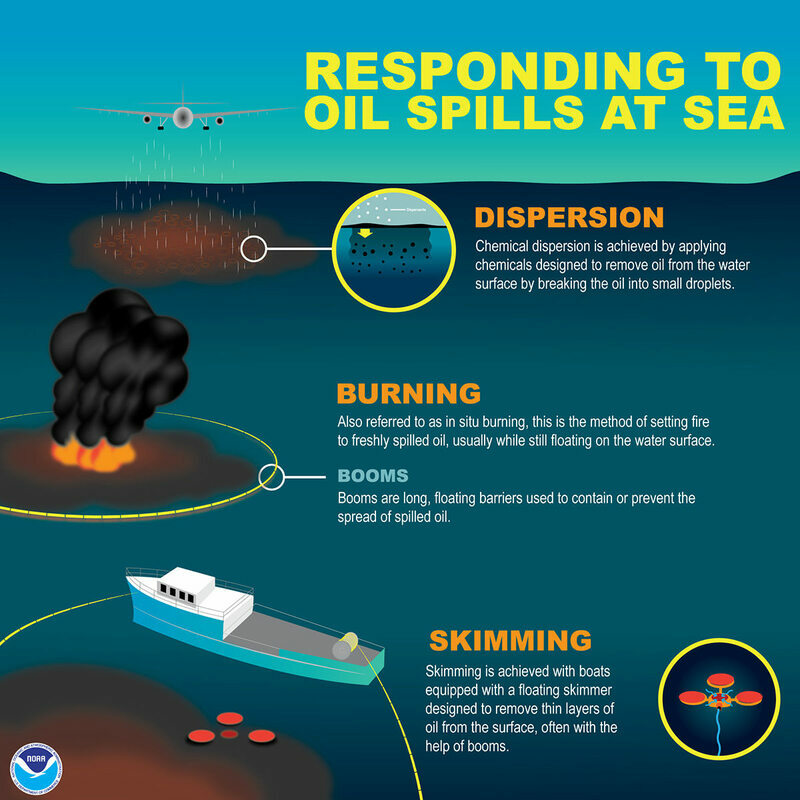 Although oil spills in the water affect marine life, and animal and human life by contact, it can also be introduced into the air and cause health problems when breathed in.